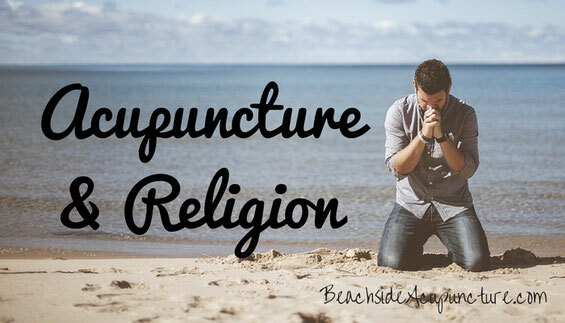 Every once in a while we'll have a patient or prospective patient imply that acupuncture might not be in line with his or her religious beliefs. Discussing religion can be controversial, but Traditional Chinese Medicine (TCM) is just that, a form of medicine. Acupuncturists look at the body from a different perspective, but they are still looking at the physical body and using medical logic to help their patients. In TCM, the body has a system of meridians through which Qi and Blood flow, and acupuncture aids in making sure the meridians stay clear and the body's internal harmony stays balanced. Most people can accept the analogy of the meridian being like a blood vessel in which blood flows. If blood doesn't flow smoothly through the arteries, veins, and capillaries, a blockage can cause serious complications like heart attacks and strokes. The concept of Qi is usually the hangup here. Think way back: Did you ever learn about energy in school? There are many different types - potential, kinetic, solar, nuclear, etc. - and everything in the universe has some kind of energy to it. A desk may seem solid, for instance, but really it's made of lots and lots of atoms that are all constantly vibrating. 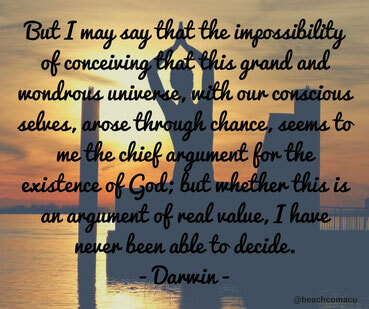 All of this is scientific fact and while some people may think it disproves religious beliefs, the level of complexity involved can also be seen as a proof that someone or something was behind it all. Either way, the body is an intricate system of cells, electrical charges, mass, and energy, and in TCM energy is called Qi. How is it that you can take a deep breath? Because your Lungs have sufficient Qi to do so. How does Blood travel through the meridians? Qi moves it. Once you understand that Qi is a part of the body's physiology, you can appreciate that an acupuncture treatment is a medical procedure that aims to correct an imbalance. If a patient comes in with foot pain, a Licensed Acupuncturist will use needles to clear out the blocked meridians like a doctor will use a stent to clear a blocked blood vessel. If a patient comes in for anxiety, infertility, or any other issues that aren't directly related to the musculoskeletal system, the acupuncturist is still going to follow the same logic, choosing acupuncture points that direct blood flow to certain areas of the body and bring the body back into balance. The goal of acupuncture is to wake up and support the body's innate healing capabilities, to work with the natural processes that are imbued in the body without considering whether they're there because of evolution, creationism, intelligent design, or any other reason. Outside of acupuncture and other physical modalities like cupping, TCM also suggests getting back to a more natural lifestyle. While some of the ancient scholars in China were Taoists and intertwined nature with their philosophy, pursuing a natural lifestyle doesn't have to have any kind of religious connotation. More and more research is being done on the benefits of getting outside, of cutting down on the chemicals used in homes, of meditating, of being active, etc. TCM likens our bodies to nature as a whole, suggesting ways of eating or different activities as the seasons change or as the day progresses. You may choose to believe in Taoist philosophy as it applies here. On the other hand, you can see it as your Creator preparing certain foods for you throughout the year to make sure you're your happiest and healthiest self and designing your body in such an intelligent way that it can function on autopilot throughout the day. In the other extreme, you can view these guidelines as making the most of the evolution that led to the human body running most optimally with specific environmental stimuli. Again, the point is that advice taken from TCM doesn't inherently contradict any religious beliefs. Of course, if your religion prohibits any type of medical intervention or penetration of the skin (i.e inserting a needle even if it is very small and doesn't leave any mark), then obviously an acupuncture treatment may very well go against your beliefs. However, if your religion does not have any conflicts with medicine, then it shouldn't have any issues with acupuncture or TCM either. Bring up any specific concerns with your Licensed Acupuncturist - whether it be questions about the acupuncture treatment or limitations on ingredients in herbal formulas - and have an open discussion before writing off this beneficial therapy. Religion is not a part of a Licensed Acupuncturist's training and treatments are designed to work with the body's physiological processes, no matter how they came to be there. 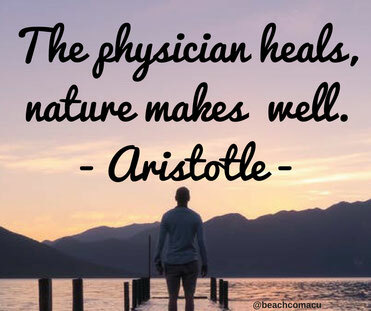 View your treatments as working in line with your beliefs, and be amazed at the body's miraculous ability to heal itself when given the right guidance!